Closure planning, water quality, remediation. 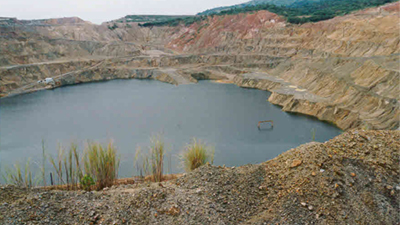 Hydrobiology can provide assessment of the geochemical and biological processes of mine pit lakes and work with mining companies to explore remediation and closure options. These services can be utilised in the production of mine closure plans and contaminated site remediation. 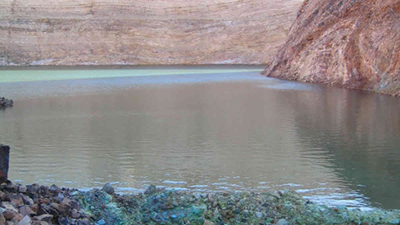 These services can be combined with traditional effluent discharge studies to assess mine pit lake dewatering options and impacts to receiving environments. This capability focus sheet provides specific information on the mien pit lake assessment methods and applications utilised by Hydrobiology. 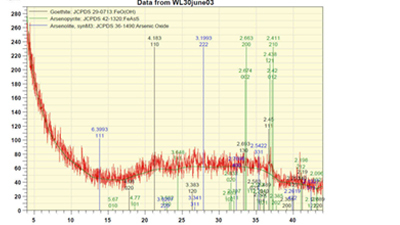 condition and processes occurring in mine pit lakes. Mine pit lake waters can be highly variable in quality from the surface to bottom waters. 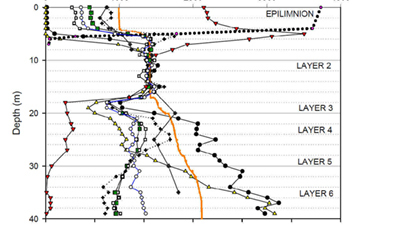 Due to the physical structure of the typical mine pit lake, they often have multiple layers (stratification) of differing water quality based on density differences. Each layer can have its own suite of contaminants of concern and a highly variable concentrations. Knowing the physical, biological and chemical structure of your pit lake water column is a key step in identifying remediation and management options. Experimental application of remediation options including “limnocorrals” or fencing off small areas (~3 m2) of the lake to test additives/options before expanding to full lake scale works. that a pit lake will form once active dewatering stops. 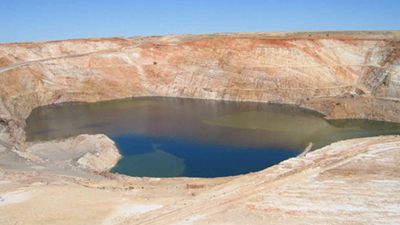 The shape of the final void, the depth to the water table, evaporation rates and the host rock geology can be used to estimate to likely water quality within the pit lake upon closure. Understanding the water quality is critical to understanding remediation and discharge options, particularly if a positive water balance is possible. Hydrobiology has internal resources as well as links to academic groups to provide assessment of mine closure options with respect to mine pit lakes.